Today, mejority of the urban indians have low vitamin D levels and are on injections or supplements to correct the deficiency. Yet, there are many who ignore the importance of Vit D and other vitamins in the human body. Vit D is a miraculous nutrient and its deficiency is linked to lifestyle disease including obesity, arthritis, diabetes, heart disease and even cancer. We know that Vit D plays a major role in Human bone health but its health benefits are not just limited to bones. “The health benefits of vitamin D extend to at least 100 types of disease, with the strongest evidence for many types of cancer (breast, colon, ovarian, pancreatic, prostate, and rectal), cardiovascular disease, diabetes types 1 and 2, respiratory infections such as type A influenza and pneumonia, other infections such as sepsis, and autoimmune diseases such as multiple sclerosis.”- (taken from article by Dr. Jonny Bowden). Research shows that sufficient amount of this hormone-like vitamin helps in balancing the hormones thus lowering the risk of Hyper/Hypothyroidism and PCOD, the two most prevailing health concerns amongst the young generation today. Balanced levels of vitamin D also helps in weight loss, keeps you feeling young and energetic. 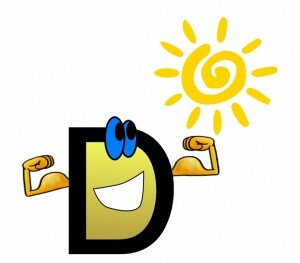 You can get vitamin D from the sun but it must get converted to its usable form D3. Proper absorption of vitamin D relies on the presence of essential fats in the body. Bring in that desi ghee (homemade or organic),groundnut, mustard and coconut oils. Learn about fats well rather than blindly following the media. Stick to your roots. Use your common sense. If coconut oil or mustard oil was “FATTY” than entire south India and west bengal regions would have been obese. So this rainy season, chuck the guilt out and enjoy your homemade besan pakodas and bhajiyas 🙂 (Remember the rule of thumb- only eat when hungry & DO NOT OVEREAT). Vitamin D expert Zoltan Roma, MD, MSc, author of “Vitamin D: The Sunshine Vitamin, states that “Research now indicates that the correct figure for the minimum daily requirement is 4000 IUs”.- taken from Article by Dr. Jonny Bowden. It is always advisable to get your Vit D levels checked and take the supplements as advised. 1) Bowden, Jonny, Dr. “Vitamin D Toxicity: What You Need to Know.” Weblog post. Jonny Bowden. N.p., n.d. Web. 03 July 2015. 2) Bowden, Jonny. “Can Vitamin D Protect Your Brain?” Web log post. Jonny Bowden. N.p., n.d. Web. 03 July 2015. 3) Diwekar, Rujuta. “http://www.outlookindia.com/article/vitamin-d-and-our-fave-snack/294681.&#8221; http://www.outlookindia.com. N.p., n.d. Web. 3 July 2015. SOOOOOO !!!!! Here we go again. We all know that majority of Indian regions are home to peanuts/groundnuts. They are local,nutritious and our traditional/ancestral diet was based on peanut/groundnut oil and roasted/boiled peanuts. Yet, today we fear them thinking about their fat and cholesterol content. Everyone is running behind the BIG “OLIVE OIL” and “COOKING OLIVE OIL” (read my article on olive oil on this blog), Safflower oil, Sunflower oil, Rice bran oil and X Y Z that’s advertised by media. Who really knows about “Filtered groundnut oil”??? Yes, FILTERED. Well this is again a topic of discussion but i will leave it out of this one for now. Thyroid patients are asked not to eat peanuts. I don’t know why they are never advised on not eating BISCUITS, CHIPS and other packaged foods???? Peanuts once cooked do not have any adverse effect on Thyroid. Anyways coming to the point, lets see how amazing PEANUTS are for us and there is absolutely no need to avoid them. Peanuts are actually not NUTS. They belong to the Legume family like the peas and beans (kidney beans,Lima beans etc), but their nutritional properties resemble nuts and they look like nuts hence we consider them as nuts. A study done at the University of Florida’s Institute of Food and Agricultural Sciences found that “peanuts rivaled many fruits for their antioxidant content.” Peanuts rank as high as strawberries in their antioxidant content. Another study was done by researchers at the Purdue University to check the “impact of peanut consumption on total diet quality” and it was found that “including peanuts in the diet significantly increased magnesium, folate, fiber, copper, vitamin E, and arginine consumption.” All of these micro nutrients play an important role in the prevention of heart disease (J. Bowden, PP 153-154). Peanuts are also high in NIACIN. This is a B vitamin which plays an important role in keeping the nerves, skin and digestive system healthy. THE FAT JAZZ- The fat in peanuts is “MONOUNSATURATED” – the same like Olive oil & Mediterranean diet. And i am sure all of you have read/heard ample of research studies on Mediterranean diet and olive oil being associated with lower levels of heart disease, cancer and longer lifespan. You read about it/ hear about it and then spend mindlessly on such diets and olive oil, not even once trying to find out how good our local food is. CAUTION: Agreed peanuts are awesome but don’t hog on that market bought peanut butter. 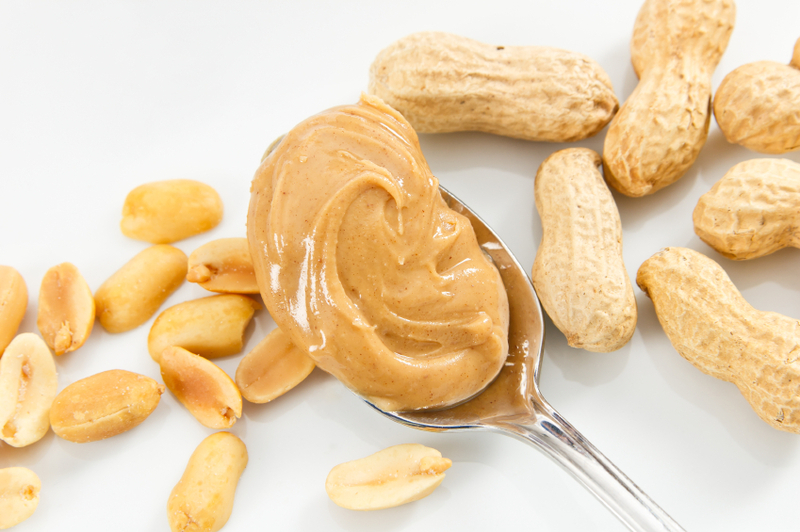 Regular “grocery store” brands of peanut butter are loaded with sugar and trans fats. Read the label to find sugar and “Partially Hydrogenated oils” – Trans fats. Either make your own peanut butter at home (plenty of healthy recipes online) or buy the one that states “Natural” on the label and does not have sugar and partially hydrogenated oils in the ingredient list. STOP degrading our local, seasonal and natural foods and start to include them in your daily diets. THEY R NOT MAKING YOU FAT. YOUR WRONG FOOD CHOICES, STRESSFUL ENVIRONMENT AND WRONG LIFESTYLE IS. We all know that nothing is constant in this universe except change. One of these is the change of season. Every time we near a change of season we are surrounded by news of “flu in the air”, “viral infection in every family”, common cold, hay fever etc. All these can be kept under control with proper nutrient intake and supplementing with natural herbs and vitamins. Whenever I ask this questions to my clients – Do you take any vitamin/mineral supplements???? Immediately I get this answer- No way!!! I do not pop any of those pills into my mouth… This tells me how much knowledge a lay person has about the power house “antioxidants” and that’s the main reason for me to write this note again today. Not just the seasonal changes but today the way our agricultural industry is going, all we are putting in our bodies are chemicals. “N” number of pesticides, insecticides, antibiotics and god knows how many more carcinogens (cancer causing chemicals) are sprayed on our food supplies. It is our responsibility to keep our body strong to be able to fight these chemicals and kick them out of our system and, to make our body and “Immune System” strong we need to keep supplying it with proper antioxidants. Antioxidants are the minerals and vitamins that are found in food as well as manufactured by our bodies and are critical for optimal health (Packer.L, Colman. C, 2000, pp1). Lipoic Acis, Vitamin E, Vitamin C, Coenzyme Q10 and Glutathione are all part of the antioxidant network. Here I am going to discuss about VITAMIN C.
Packer and Colman call vitamin C the hub of the antioxidant network because it links the fat soluble antioxidants to the water soluble ones. Unfortunately we humans, like few animals, do not produce vitamin C in our bodies so we have to rely on getting enough of it in our food and through supplements (Packer.L, Colman. C, 2000). Research shows that people who take vitamin C supplements daily significantly reduce their risk of dying from cancer and heart disease. It is shown that vitamin c prevents cancer by shielding our DNA from free radical damage. Vitamins C works in regenerating vitamin E & interacts with flavonoid antioxidants in the network. Vitamin C is very much critical to a well-functioning immune system. Vitamin C strengthens the immune system thus helping to reduce the length and severity of colds and viruses. Taking a regular dose of vitamin C can make this saying wrong “if 1 person gets cold infection in the family or school or office all others will get it.” NOPE. NO WAY. Vitamin C is great for the skin. It is essential for the production of collagen. Collagen is the cellular glue that hold the body together and keeps the skin young and supple. Vitamin C is shown to protect against cataracts. Vitamin C is shown to strengthen connective tissue. Vitamin C plays an important role in preserving the health of our cardiovascular system. According to studies done, vitamin C supplement is very crucial for the diabetics. Vitamin C is found in abundance in plants. It is present in many fruits and veggies like red peppers, broccoli, cranberries, cabbage, potatoes,tomatoes, Indian gooseberry, guava and citrus fruits. RDA amount: 60 milligrams, 100 milligrams for smokers. As vitamin C is a water-soluble vitamin the excess amount that is ingested is eliminated through urine. Thus there is no chance of toxic buildup. The only side effect noted from too much vitamin C intake are abdominal cramp and diarrhea, which are uncomfortable but not particularly hazardous to the health (Packer.L, Colman. C, 2000). Always include fresh seasonal fruits and vegetables in your diet along with vitamin C supplement. Remember that simply swallowing a vitamin pill will not guarantee its absorption into the system and delivery to the appropriate cells and tissues. When it comes to vitamin C, less is more. Recent study shows that when smaller amount of vitamin C is taken it has better bio availability. Colman and Packer recommend 250 milligram a day to be the healthy supplement dose of vitamin C (Packer.L, Colman. C, 2000). Do read my post on the 5 antioxidants. Packer, L & Colman, C. (1999). The Antioxidant Miracle. New York, U.S.A: John Wiley & Sons, Inc.
Louise states that she has noticed a consistent pattern in every woman suffering from breast cancer. According to Louise these woman have a tremendous inability to say no. Breast represents nourishment, and women with breast cancer seem to always be busy in nourishing everyone in their world except themselves. These women find it extremely difficult to say “NO”. One of the reason behind this may be that they were raised by parents who used guilt and manipulation for discipline and now they have become people pleasers, surrounded by people who are constantly asking them to do more than they can comfortably do. These women are seen to keep straining themselves for others and saying “yes” to demands that they really don’t want to do. They keep giving until there is no more nourishment left in them to give (Empowering Women, 2009). Louise says that it can be very difficult to say “NO” for the 1st time because the people around you have become so used to you saying yes to their demands. When you first say “NO” you receive a very angry reaction from them. Louise advises to accept this reactions and says that “anybody who is learning to say “NO” has to put up with anger for a while.” Louise also recommends no to make excuses once you say “NO”. This gives other person a chance to talk you out of your excuse. Louise says, ” Just say NO. No, I can’t do that.” “Not anymore.” “No, I don’t do that anymore.” – any short statement that sends a definite “NO” message will do the trick. The other person will get angry but you have to be confidant that it’s not because of you. These people get angry because now you are not giving. They can even call you selfish. You do not lose your confidence and self-respect. After-all, you finally got it 🙂 (Empowering Women,2009,pp 83). Louise recommends doing this affirmation ” WHEN I SAY NO TO YOU, I AM SAYING YES TO ME.” She asks you to repeat this powerful affirmation to yourself and it will make you feel good. “By the time you have said “NO” to the person three times, he/she will realize that you have become a different person and will stop asking you.” You now have more self-respect. Saying “No” will also help you resolve your internal resentment and grudges. (Empowering Women,2009,pp 83). “Be committed to the relationship you have with yourself.” We get so committed to all the other relationships in our lives that we kind of “toss” ourselves away. We get around to ourselves only now and then. So, really care for who you are. Love yourself, respect and cherish yourself. As you learn to love yourself, you will be open to love you receive from others. “The Law of Love requires that you focus your attention on what you do want, rather than what you don’t want. focus on loving you.” (Empowering Women, 2009, pp 43-44). Louise has personally touched my life in tremendous ways and she still keeps teaching me and I still keep learning. I recommend all you beautiful hearts to read the following books. 3. You can create an exceptional life- Louise L. Hay with Cheryl Richardson. If you know any one suffering from breast cancer or had suffered, I would recommend you look into their lives, if it is someone close to you than try to look on a personal/deeper (emotional) level and see if you find similar answers. Stay healthy, Stay happy and most importantly “BE YOURSELF- LOVE YOURSELF”. 1. Louise L. Hay (2009). Empowering women- Every woman’s guide to successful living, Hay House, Inc. I received a text message from a very good friend at 1:00 am in the morning asking me about the benefits of green tea. ” Hey what is green tea? I want to start drinking it from tomorrow.” This message actually made me realize that I have not written anything about this “super food” yet. How can i forget green tea???? So here I am, right now, right here writing about one of my favorite beverages Green Tea and dedicating this to him. A word of clarification: All non herbal teas, green, white, black and red (oolong) come from the same plant called “Camellia sinensis“. The leaves of this plant contains powerful antioxidants known as “polyphenols“. The classification of these four totally depends on the degree of processing that the leaves of Camellia sinensis undergo after they have been harvested. Black tea is fully fermented, Oolong (red) tea is partially fermented,green tea is not fermented at all but instead pan-fried and dried and white tea is barely processed ( J.Bowden,2007). Green tea contains “Catechins”, a very powerful group of polyphenols. “Epigallocatechin Gallate” is one of the catechins believed to be responsible for the anticancer effects of green tea. Several human as well as animal epidemiological studies have confirmed the cholesterol lowering effects of green tea. Research also shows that green tea helps in lowering “fibrinogen“- a substance present in our body responsible to cause clots and strokes (J.Bowden,2007). Weight loss benefits of green tea have also been shown in several studies. One study in the American journal of Clinical Nutrition showed that men who were give green tea burned more calories compared to the men who were given similar drink without green tea. According to Dr. Shari Lieberman, green tea stimulates the metabolism way more than caffeine alone does (J.Bowden,2007). Adding one more to so many benefits of green tea is its mood improving and relaxation inducing effect. A substance called theanine, found in green tea is shown to be helpful in improving mood and increasing the sense of relaxation (J. Bowden, 2007). 3. May help reduce blood sugar. Come, lets relax with a cup of green tea. What say 😉 ?? ?